Bottled water is a massive industry, providing clean drinking water to the population. In areas such as the Western Cape, bottled water is now the main source of drinkable water for many citizens in the water-scarce province. Therefore, it is vital that the producers of bottled water adhere to quality standards and legislation. Strict laws and global benchmarks are put in place to ensure that the quality of the water we consume is adequate. But not all producers observe these laws and standards and can pose a health risk to society. “There are companies producing what they claim is bottled water or bottled water alternatives, but [fall] well-short of complying with local legislation and standards,” says South African National Bottled Water Association (SANBWA) CEO Charlotte Metcalf. Bottled water constitutes a food product and is therefore regulated by the Department of Health. Drinking (tap) water, on the other hand, only needs to comply with public water supply standards and regulations. There are three types of bottled water; those that are bottled from natural sources such as springs, water defined by origin, and treated or prepared water. These types of water need to meet hygiene standards, microbiological legislation, treatment labelling standards and chemical regulations. “Waters that do not comply with these regulations should not compare themselves to those waters that do,” says Metcalf. 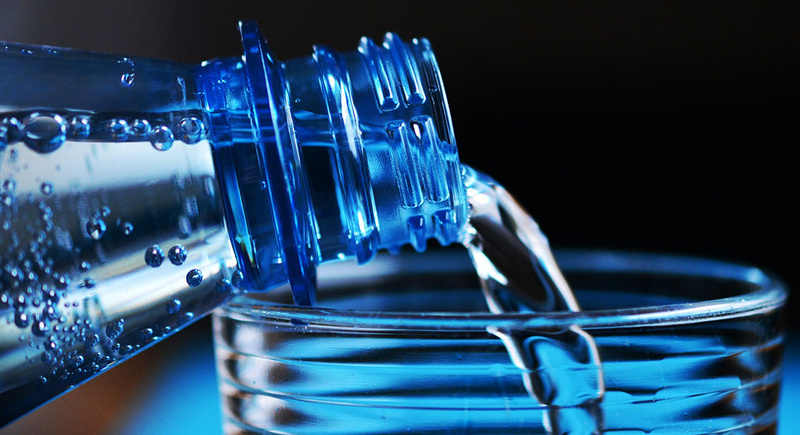 If water is refilled in the consumer’s bottle, it is classified as drinking water and does not have to adhere to the strict standards that govern bottled water. However, water that is bottled in a restaurant or store and is branded under the establishment’s name does need to conform to bottled water laws and standards. “This is, however, mostly impractical as it is difficult to impossible to maintain a hygienic food production facility with adequate hygienic design, processing and testing protocols in such an environment,” says Metcalf. Further issues arise in the producers’ management of their production facilities. Water filters should be changed often but some producers leave this as long as possible to save costs. “Then, because these systems do not operate in a clean-room environment, secondary contamination from air and poorly sterilised containers and handling is a given,” she argues. “Some systems mostly claim to remove chlorine,” she says, adding that the water, therefore, has no defence against the growth of bacteria in the bottle after filling. Chlorine is a good chemical to kill bacteria in small quantities, and if filters remove chlorine, the existing bacteria in the empty bottles can grow rapidly once it is filled. Simply removing microorganisms and bacteria using chlorine is not enough. South African law states that the shelf-life of bottled water needs to be printed on the bottle in the form of an expiration date. Many retailers producing their own bottled water do not print this information on their bottles. Metcalf states that consumers can contribute to the accountability of bottled water producers by questioning the claims made by cheap products. These low-cost companies often don’t perform environmental surveys and source sustainability reports, as well as maintaining highly-sterilised facilities. “If the product is cheap, chances are that the source is not what it claims to be or the production facilities are not what the should be,” says Metcalf. Consumers should research some bottled water facilities to see which ones look like they may ignore local standards and cleanliness guidelines. By pairing international expertise with local insights, we have secured our position as one of South Africa’s most respected providers of waste management and industrial cleaning services. We also operate in the recycling, infrastructure inspection, hydro-demolition, high-pressure water jetting and catalyst handling industries. Follow us Facebook, Twitter and LinkedIn for the best tips on recycling and the latest industry news. See our Instagram and YouTube channels for more insights into environmental affairs and our work with local communities.